Looks like there could be a problem, this is from last Thursday. A lot more at the link. "...it began its scheduled transfer to its home port of Novorossiysk on October 16, 2015, but within literally a few days it was necessary to call for a rescue tug, with which it headed to a location where unscheduled repairs will be performed by technicians from Admiralty Shipyards, where the submarine was built." Interfax, citing an unknown source in the shipbuilding industry, confirmed that the submarine is in the Baltic Sea, but the source would only say that "it was forced to return to the Baltic for technical reasons." Finally, Admiralty Shipyards denied that any Russian Navy officials had contacted the shipyard to provide any technical assistance to the submarine. This is the fourth submarine of 636.3 in the series, it was launched in April. The ship lifted the naval flag. PETERSBURG, November 5 - RIA Novosti. Diesel-electric submarine of Project 636.3 "Krasnodar" passed on Thursday in St. Petersburg, to Russian Navy, the correspondent of RIA Novosti. 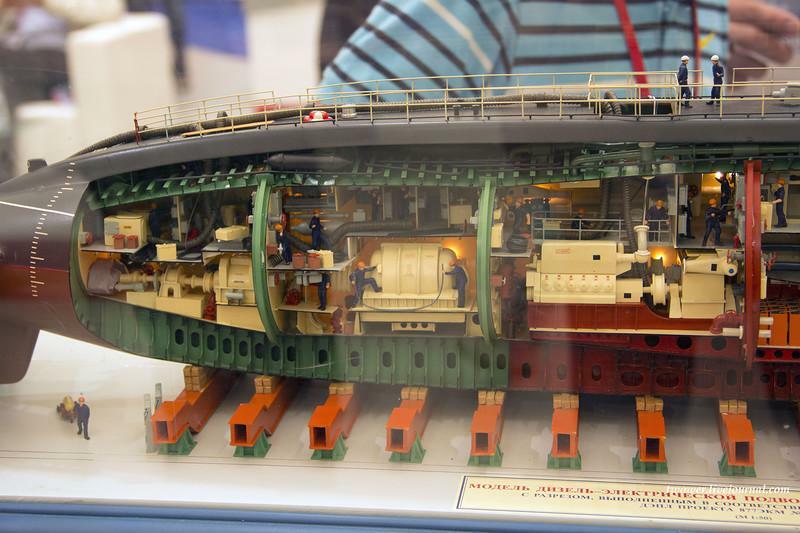 "This ship - the fourth submarine in a series of upgrade project. The three ships have already completed the test and work out combat training tasks. The ship is the result of the work of designers, shipbuilders, and we have great pleasure in raising the naval ensign," - he said at the ceremony of raising Flag head of the combat training of the Navy Minister Viktor Kochemazov. He recalled that the submarines of this series will be based in Novorossiysk. "We look forward to when the ship joins the ranks of the Fourth Brigade," - he said. 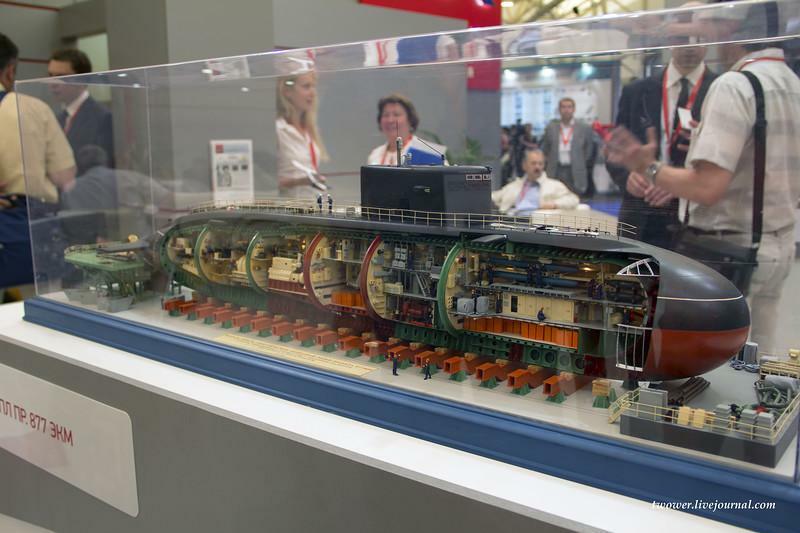 As the general director of JSC "Admiralty Shipyards" Alexander Buzakov, "today we can say that the construction of a series of submarines is on time, and this contract gives up early." Submarine "Krasnodar" Project 636.3 - the fourth in the series, built at the JSC "Admiralty Shipyards" for the Russian Navy, was launched in April 2015. Parent submarine "Novorossiysk" was handed over to the Russian Navy in August 2014, the second submarine "Rostov-on-Don" - the end of December 2014, the third submarine "Stary Oskol" - in July 2015. 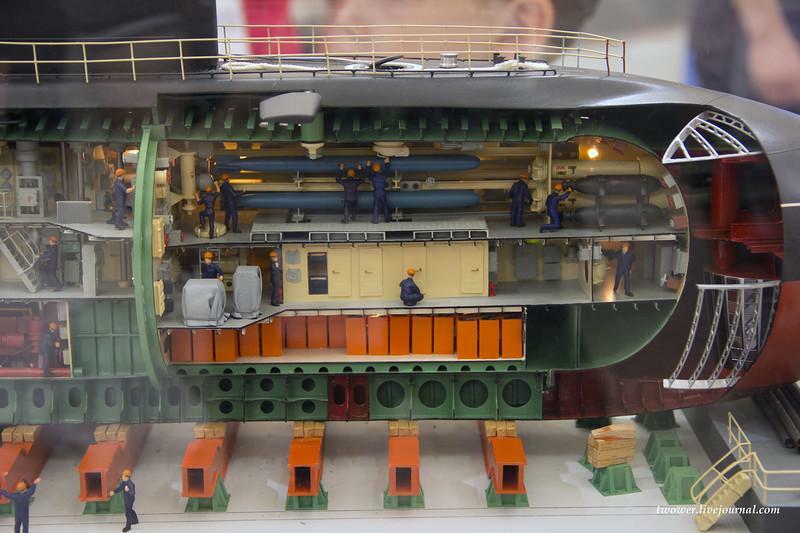 Until 2016, the plans of the High Command of the Navy, to be built six submarines of Project 636.3. All of them will be part of the submarine forces of the Black Sea Fleet. 636.3 submarine project "Varshavyanka" refers to the third generation, has a displacement of 3.95 million tons, submerged speed - 20 knots, dive depth of 300 meters, the crew of 52 people. Submarines 636 modified the project have a higher (compared to previous projects) combat effectiveness. Their armed with torpedoes caliber of 533 millimeters (six units), Mines, percussive missile complex "Caliber". They can detect the target at a distance of three to four times higher than that on which they can detect the enemy. During his stealth boat the project received NATO name "black hole". How many Kalibr missiles can the Varshavyanka class carry ? calripson wrote: How many Kalibr missiles can the Varshavyanka class carry ? But usually only carries around 4, with the rest being torpedoes. What is the range of a kilo class sub ? I know it's not the same if it sails sumerged or surfaced but in case of war it's dangerous to be surfaced while searching for the enemy. why don't don't they build it bigger with higher fuel/battery capacity to allow them to attack with the SNA's in ocean far from land bases ? For the norther fleet it would be better as they are far from England and North sea and they don't have enough SNA's to patrol in the atlantic, protect north pole from nato's SSBN, protect their SSBN. How would be the kilo used in a war ? Isos wrote: What is the range of a kilo class sub ? I know it's not the same if it sails sumerged or surfaced but in case of war it's dangerous to be surfaced while searching for the enemy. Type 877EKM model at Armiya-2015. Kalibr-capable Kilo sub "Novorossiysk" completed 50-day repair cycle, returned to normal pier, Nov. 26. At 1 min 14s, It was just one torpedo ? 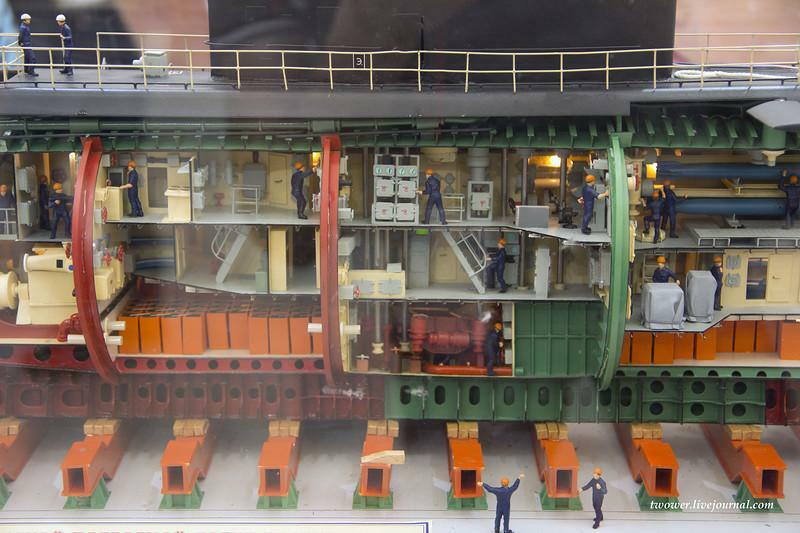 Carriers have thousand of compartments that can be sealed, water draining pumps and over all they are huge. Its very hard to actually sink one, to damage, take it out of service etc sure, but to sink it you would need more than 1-2 torpedos. There is a reason why there exist nuclear tipped torpedos and anti-ship missiles. It was confirmed by the Director General of the Admiralteyskie Verfi that all 6 torpedo tubes can launch Kalibr cruise missiles. How many Kalibrs an Imp Kilo actually carries? George1 wrote: How many Kalibrs an Imp Kilo actually carries? It can carry 18 torpedoes/cruise missiles. So it depends. I guess it would need at least a couple of torpedoes for self-defense. 8 from what i am aware. Is that launch tubes or total missiles on board. Seems like a small number to me. A kilo has 6 lunch tubes and carry 18 weapons wich are a mix of Kalibr and torpedos. The number of Kalibr carried depends of the mission. If you carry 8 Kalibr, you will have just 10 torpedos. Or it can carry 24 mines instead of the 18 torpedos/Kalibr missiles. 8 is standard load they carry from what i noticed in literature. In normal operations they carry 8 Kalibrs probably in 4 + 4 configuration (3M54 + 3M14) + torpedos. My problem with these numbers it that the sub's fire power lasts a few seconds and then it has to return to port. This seems to require many submarines for engagement. kvs wrote: Thanks for the clarifications. Well Improved Kilo is fairly small diesel sub after all, its main role would be to defend coastal regions, patrol in shallow waters etc. US conversion of Ohio class into cruise missile sub SSGN, carries 154 cruise missiles (7x22) in its vertical launchers but its gigantic compared to Kilo. Yasen for an example can carry 40 Kalibrs in its VLS. If Borei ever gets cruise missile carrying variant in future would carry probably over 100, depends how many they manage to stick to one of Bulava containers. I must reveal that still today i always remain disoriented by those kind of debates and the points around which develop. Instead of questioning in circle the opportunuty of a certain cruise missile amount selection i would ask instead a very simple and much more critical question : what other diesel-electric propusion submarine at world is today armed and capable to employ stand-off land attack cruise missiles (and potentially any other mix with anti-ship and anti-submarine models) with the range and payload of Калибр ? Where is an even only close similar capability in any foreign diesel propelled submarine of much more recent construction ? Well Israelis operate Dolphin-class which has land attack capabilities, rumons say even nuclear strike capable. South Korean Son Won-il class can use Hyunmoo-3 cruise missiles, those are ones i know about. Other diesel subs are mostly armed with torpedos, mines and anti-shipping cruise missiles. Even some version of "Harpoon" have land attack capability ,such as dozen of other models of foreign and domestic cruise missile models with different main roles ,flight profile and.........speed. At even payload we talk here of systems with engagement range of two different class : almosty a two fold difference.